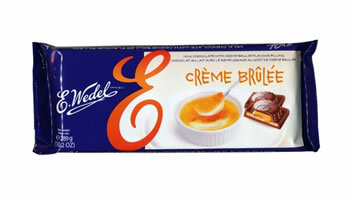 Milk chocolate bar with Crème Brulee flavour filling. 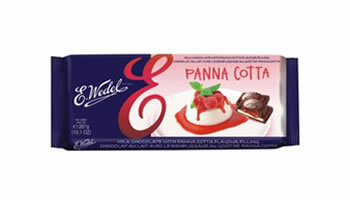 Milk chocolate bar with Panna Cotta flavour filling. 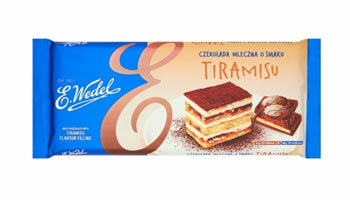 Milk chocolate bar with Tiramisu flavour filling. 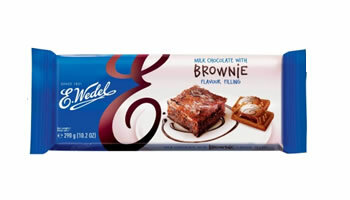 Milk chocolate bar with Brownie flavour filling.